What if God gave us a sign, would we even notice it? What if God, like He has done before, gave us a heavenly sign, a portent of great and terrible events? Would we even take notice? Are we, like so many that have come before us, so busy in our day-to-day lives that we never bother to even look up anymore? What if God gave us a heavenly sign today, would we notice? And if we did notice, would we care or just ignore it as some superstitious nonsense? What if I told you that there is a forthcoming astronomical event that closely mirrors a sign from the Book of Revelation, stunning in its precision, context, and timing? Would you look up? Paul is clearly making the case that the Jews had knowledge of the Messiah because the heavens told them so. Obviously Paul is not endorsing astrology, but indicating that God can and does sometimes use the heavens to announce His plans. There is much more that can be said on the differences between astrology and understanding heavenly signs, but suffice it for now to say that looking to the heavens for confirmation and announcement of God’s plans is legitimate within the proper context and application. So what was the Star of Bethlehem? As mentioned, I think there is a compelling case that the Star of Bethlehem was a series of astronomical events with significant symbolism. More detail can be seen at BethlehemStar.net, but I will attempt a brief summary. In 3/2 B.C., there occurred a rare triple conjunction of Jupiter (the king planet, through its retrograde motion) and Regulus (the king star). The Magi likely interpreted this rare triple conjunction as a giant neon sign in the heavens blinking KING-KING-KING. This all began at the Jewish New year and all within the constellation of Leo (the lion, a symbol of the tribe of Judah). So it heavily symbolized Jewish King from the tribe of Judah, a clear indication for those familiar with the Messiah. Further, rising right behind Leo was the constellation Virgo, with the sun and the moon at her feet. After this incredible triple conjunction, Jupiter began moving westward in the sky, eventually coming into conjunction with Venus, a planet long symbolically associated with motherhood. The conjunction of the king planet and the motherhood planet was so close, that no man alive had ever seen anything like it and together it formed the brightest object in the sky. All this symbolism of a Jewish king from Judah and a Virgin was enough to get the well-versed Magi moving to Jerusalem, but you can understand why the average citizen of Jerusalem missed it. Jupiter continued its western movement in the sky until it finally stopped. When it stopped (as seen from Jerusalem), it stopped directly south, directly over the small village of Bethlehem, on December 25 of 2 B.C. This may be easily seen with modern star programs that can show you the night sky on any date in history from any perspective. It is the advent of such computer programs that now allows us to not only look at the past, but to look at the skies of the future. Given the context of all I just described, it is when we turn our gaze to the heavens of the future that once again we are treated to heavenly signs of great symbolism. Let us revisit the opening verses of Revelation 12. The author of Revelation clearly indicates that this vision is one of a sign in heaven or in the sky. What do we see in the sky of the near future? On November 20, 2016, an astronomical event begins that will last nine and a half months, culminating in startling concurrence with the vision of Revelation 12. While I am not an astronomer, all my research indicates that this astronomical event, in all its particulars, is unique in the history of man. On November 20, 2016, Jupiter (the King planet) enters into the body (womb) of the constellation Virgo (the virgin). Jupiter, due its retrograde motion, will spend the next 9 ½ months within the womb of Virgo. This length of time corresponds with gestation period of a normal late-term baby. After 9 ½ months, Jupiter exits out of the womb of Virgo. Upon Jupiter’s exit (birth), on September 23, 2017, we see the constellation Virgo with the sun rise directly behind it (the woman clothed with the sun). At the feet of Virgo, we find the moon. And upon her head we find a crown of twelve stars, formed by the usual nine stars of the constellation Leo with the addition of the planets Mercury, Venus, and Mars. That is a truly remarkable and, as far as I can determine, unique series of event with a startling degree of concurrence with the vision of Revelation 12. So what does it mean, if anything? The obvious and truthful answer is that we simply do not know. That said, we are not entirely without possible context. It just so happens that these events transpire during the 100th anniversary of the apparitions of “the woman clothed in the sun,” Our Lady at Fatima in 1917. The culmination of these astronomical events occurs just 3 weeks before the 100th anniversary of the great miracle of Fatima, in which the sun “danced” (another heavenly sign), an event that was witnessed by many thousands. In the almost century that has followed that great event, we have seen Our Lady’s warnings come true with startling precision. People did not cease offending God and we have seen terrible wars, nations annihilated, and Russia spread her errors throughout the world and, if we are honest, even into the Church itself. And yet, we still await the fulfillment of her promises, the triumph of Her Immaculate Heart, and a period of peace to be granted to the world. But what you may not know is that within the Fatima story itself, there are indications that a 100-year period might be significant. In August 1931, Sister Lucy was staying with a friend at Rianjo, Spain. There, Our Lord appeared to Sr. Lucy and He complained the requests of His mother had not been heeded saying, “Make it known to My ministers, given that they follow the example of the King of France in delaying the execution of My command, they will follow him into misfortune. It is never too late to have recourse to Jesus and Mary.” And again in another text, Sr. Lucy quoted Our Lord as saying, “They did not wish to heed My request! … Like the King of France, they will repent of it, and they will do it, but it will be late. Russia will have already spread its errors in the world, provoking wars and persecutions against the Church. The Holy Father will have much to suffer.” Those references to the King of France are very interesting for our discussion as this is an explicit reference to the requests of the Sacred Heart given through Saint Margaret Mary Alacoque on June 17, 1689 to the King of France. King Louis XIV and his successors failed to heed Our Lord’s request to publicly consecrate France to the Sacred Heart of Jesus. As a result, on June 17, 1789, one hundred years to the day after the request, the National Assembly of the French Revolution rose up and declared itself the government of France and stripped the king of his power. Later, the king lost his head to the revolution. Now it is not possible to know the relevance of this 100-year allusion or to know if and when the clock may have started ticking, but it is certainly interesting and relevant in this context. And of course, many are familiar with the vision of Pope Leo XIII in which he allegedly heard Satan granted one hundred years to try and destroy the Church. 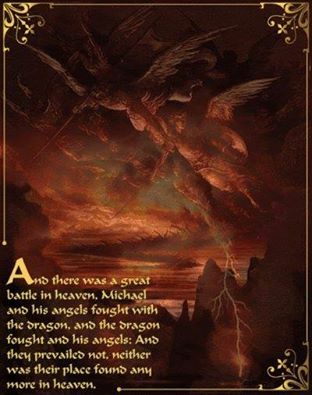 Immediately after this vision, Pope Leo XIII composed the prayer to St. Michael pleading with the Archangel to defend us in battle and be our defense against the wickedness and snares of the Devil. Pope Leo XIII then added the Leonine prayers to the end of the mass, later suppressed during Vatican II. And who is the Woman in Revelation 12 ? this woman who appears in heaven “clothed with the sun, with the moon under her feet” and wearing “a crown of twelve stars,”, She introduced herself on April 12, 1947 at the 3 Fountains in Rome, the same place where the Romans beheaded Saint Paul and she said “I am the Virgin of the Revelaton”, so according to Father Rodrigo who learned the nature of the Great Miracle from Conchita, it will appear in the Sky of Garabandal a very large image of the wonderful and marvelous Virgin, the woman clothed with the Sun. “But when these things begin to come to pass, look up, and lift up your heads, because your redemption is at hand.”— Lk. 21: 28. Copyright 2017. All Rights Reserved Worldwide. NOTE: When colleagues like Patrick Archbold and readers alike asked for my input on the two upcoming heavenly events of 2017, it occurred to me that, rather than answer incoming questions one-by-one, I would save time by writing an article. Originally published as a 2-part essay in Catholic Family News (March and April 2017), I here present the 2 parts (for the convenience of my readers) as one piece. Within the next six months, two celestial events will occur in this year of the Fatima Centennial. Already, Catholics are asking if they are signs of significance relating to Fatima, especially the seeming 100 year time limit for the collegial consecration. 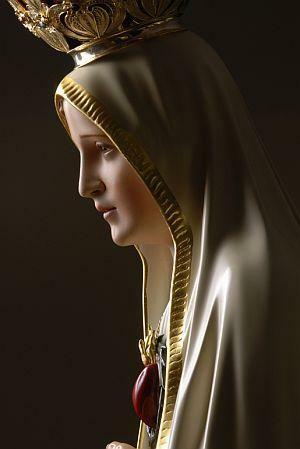 While nobody can foresee the ultimate answer, this essay offers considerations for prudential discernment because the prophecies of Fatima, the greatest “crown of all Marian apparitions” granted to the Church, continue to unfold. Throughout salvation history, the signs of God indicate various purposes. A true sign can possess any one or more of the following seven functions: It confirms God’s word, His goodness, authenticates prophecy, verifies God’s blessings and His intervention for the sake of the elect, strengthens the faithful with hope, insures or testifies God’s Presence, or declares His judgment upon sin. Let’s first turn to the Holy Bible, which infallibly confirms that the lights of the firmament are intended for many purposes, including “for” signs. • “And God said: Let there be lights made in the firmament of heaven, to divide the day and the night, and let them be for signs, and for seasons, and for days and years: To shine in the firmament of heaven, and to give light upon the earth. And it was so done. And God made two great lights: a greater light to rule the day; and a lesser light to rule the night: and the stars” (Genesis 1:14-16). • A STAR SHALL RISE out of Jacob and a sceptre shall spring up from Israel…” (Numbers 24:7). • “The sun, and the moon, and the stars being bright, and sent forth for profitable uses, are obedient” (Baruch 6:59). • “Where is he that is born king of the Jews? For we have seen his star in the east, and are come to adore him” (Matthew 2:2). • “And there shall be signs in the sun, and in the moon, and in the stars; and upon the earth distress of nations, by reason of the confusion of the roaring of the sea and of the waves; Men withering away for fear, and expectation of what shall come upon the whole world. For the powers of heaven shall be moved” (Luke 21: 25-26). One will note that, with both of this year’s events, the sun is present but obscured or behind another heavenly object. As we know from Scripture, the sun is the material symbol for Our Lord, Jesus Christ, the Son of Justice. —First, it is the vigil (the eve) of the octave of the Feast of the Assumption of the Virgin. —Second, it is the vigil of “The Immaculate Heart of Mary” (traditional liturgical calendar) or “The Queenship of Mary” (updated liturgical calendar). Whichever calendar one may reference, the coming total eclipse occurs on the eve of a feast day of Our Lady. • Almost a month later, on September 23, 2017, the sun will rise behind the constellation Virgo—an annual event. What is rare and striking about this year is the interaction of the planets Jupiter, Venus, Mars, and Mercury. Last year, on November 20, 2016, Jupiter (the “king” planet) entered the constellation Virgo. In retrograde motion, Jupiter is currently in Virgo’s womb, but exits Virgo on September 23 (after 43 weeks, 6 days or 9.5 months, an over-due gestational length of an unborn baby). 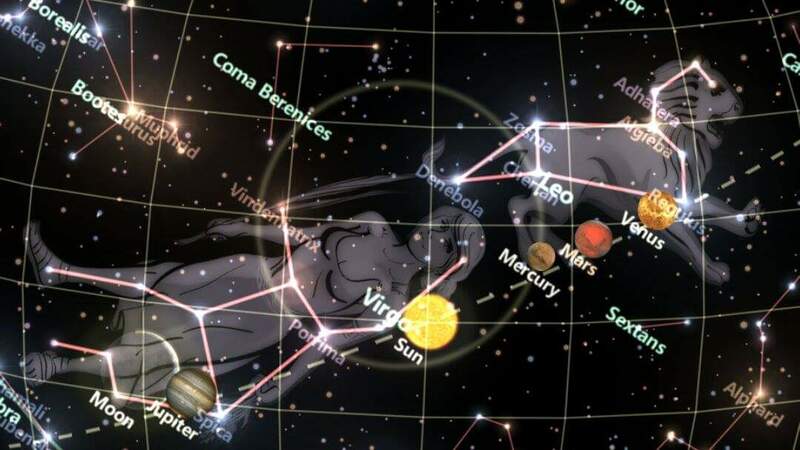 On that day, almost directly above the head of Virgo will be Leo (the 12th largest constellation), which includes—but is not limited to—12 brighter lights of heaven, three of them being the planets Venus, Mars, and Mercury. Additionally, the moon will be near (but not directly under) the feet of Virgo. “1. …The brightness of the sun is a fitting symbol for the enlightening power of the Church’s teachings. [Author’s Note: We might then consider the symbolic meaning of a sun’s eclipse. ]…The crown of twelve stars represents the twelve Apostles and, through them, the whole ministry of the Church. It may also denote the assembly of faithful nations, symbolized by the mystic number twelve. “With the beast of Antichrist, only the horns have diadems as symbols of royalty or governing power. The heads are branded with names of blasphemy (Apoc. 13:1). Hence, they symbolize the sins and errors that will afflict the Church. Seven, the number of universality, indicates that, in this final struggle to prevent the universal reign of Christ, all forms of sin and error will be marshalled against the Church. A prelude to this may be seen in the errors of Modernism which has been rightly designated ‘a synthesis of all heresies.’ The number seven is also appropriate since all sins are included in the seven capital sins. In like manner, all errors that have afflicted the Church may be summed up in these seven: Judaism, paganism, Arianism, Mohammedanism, Protestantism, rationalism, and atheism. “The dragon is seen in heaven, which is here a symbol of the Church…This indicates that the first troubles of those days will be inaugurated within the Church by apostate bishops, priests, and peoples—the stars dragged down by the tail of the dragon. “4. The tail of the dragon represents the cunning hypocrisy with which he succeeds in deceiving a large number of people and pastors—a third part of the stars…The dragon stands before the woman ready to devour the child that is brought forth. In other words, the powers of hell seek by all means to destroy the Pope elected in those days. “5. The woman brings forth a son to rule the nations with a rod of iron… Scarcely has the newly elected Pope been enthroned when he is snatched away by martyrdom…During the interregnum, ‘that wicked one shall be revealed’ in his fury against the Church. “6. The Church deprived of her chief Pastor must seek sanctuary in solitude, there to be guided by God Himself during those trying days. This place of refuge prepared for the Church is probably some nation, or nations, that remain faithful to her…In those days, the Church shall also find refuge and consolation in faithful souls, especially in the seclusion of the religious life. “7. St. Michael, the guardian angel of the Church, shall come with his hosts to defend her against the onslaughts of Satan and his minions. The followers of St. Michael are the angelic hosts of heaven and all faithful bishops and priests of the Church. The minions of Satan are the fallen angels with the leaders of heresy, schism, and persecution. Interestingly, while St. Michael is specifically mentioned in the Apocalypse, it is not the first time his name appears in the bible. In fact, the first scriptural occurrence wherein Michael’s name is given may shed light on the time-frame of 21 days (again, the length of days between September 23, 2017, which will see the exiting of Jupiter from Virgo’s womb, and October 13, the 100th anniversary of the Miracle of the Sun). “Beginning with Chapters 7 and 8, Daniel wrote the first of his prophetic and apocalyptic visions. Explanations of these visions were given by the angel Gabriel,  who appeared to him as a man. In Chapter 10, it is recorded: ‘In the third year of Cyrus king of the Persians, a word was revealed to Daniel surnamed Baltassar, and a true word, and great strength: and he understood the word: for there is need of understanding in a vision.’ Following this event, the prophet Daniel mourned and fasted for 21 days. It is this same great archangel whom God sent to Fatima; Michael, Prince of the Heavenly Host, chosen to precede the “great sign” that would appear in heaven (the Church)−the “woman clothed with the sun.”  It is he who taught the children how to make acts of adoration and reparatory mortification to God. Like the prophet Daniel before them, who prayed and fasted for 21 days (again, thrice the usual time) after he saw a vision of the end days, the three Fatima children also developed the habits of heavy penance. Perhaps the 21 days between September 23 and the 100th anniversary of the Miracle of the Sun serve as a reminder for us to do the same. Additionally, the date of September 23 is both the memorial of Pope St. Linus (pope-martyr and immediate successor of St. Peter) and of St. Pio of Pietrelcina (who for 50 years bore the stigmata of Christ’s Passion). These two events bring to our minds the Great Secret of Fatima, in particular “a bishop dressed in white ‘we had the impression that it was the Holy Father’” (sic) who is killed by soldiers with guns and arrows and, with the death of so many people from all walks of life, what appears to be the Passion of the entire Church. ….According to the divine plan, “a woman clothed with the sun” (Rv 12: 1) came down from heaven to this earth to visit the privileged children of the Father. She speaks to them with a mother’s voice and heart: she asks them to offer themselves as victims of reparation, saying that she was ready to lead them safely to God. And behold, they see a light shining from her maternal hands which penetrates them inwardly, so that they feel immersed in God just as – they explain – a person sees himself in a mirror. At Fatima, on May 13, 2000, referring to Jacinta and Francisco, the seers of Fatima, Pope John Paul II said, “According to the Divine plan, ‘a woman clothed with the sun’ (Rev. 12:1) came down from Heaven to this earth to visit the privileged children of the Father.” linking clearly our Lady of Fatima to the woman clothed with the sun of the Apocalyspe, in my article ‘Little known story about Garabandal 7″ I recalled (from a recorded tape) some words from Conchita during one of her vision with our Lady, indicating this possibiility to see our Lady for the Great Miracle, this testominy (above) from Jose Luis Lopez confirms also this possibility. We also see reading Pope John Paull II’s homily in 2000 and Jose Luis Lopez Testimony of Father Lucio Rodrigo from Comillas ( a beatiful village at 30 minutes from Garabandal), an other Clear link between Fatima and Garabandal, The Woman Clothed with the Sun, confirming again and if it was still necessary, the continuation in Garabandal of the Apparitions of Fatima, it looks that the battle between the woman clothed with the sun and the dragon, started in Fatima may finish in Garabandal with a Consecration and a Great Miracle. PS : Thanks to john for still keeping some of my old articles online, this one has almost 4 Years already. Amazing thanks for the article it’s very interesting. Sorry to say that Antonio Yague’s videos will not help you in anything. His many predictions have always failed. Better to pray many rosaries instead of wasting your time with his theories. There’s nothing new in Garabandal as well, just the same faith, doctrine and pastoral of ever. It’s another good prophylactic treatment before we get exposed to the “serene theology” virus. I recommend it highly. Our greatest danger today is the loss of the sense of sin, special on the gravest ones. Our bad priests are not helping at all. Thanks for the Link Basto, you are Great !